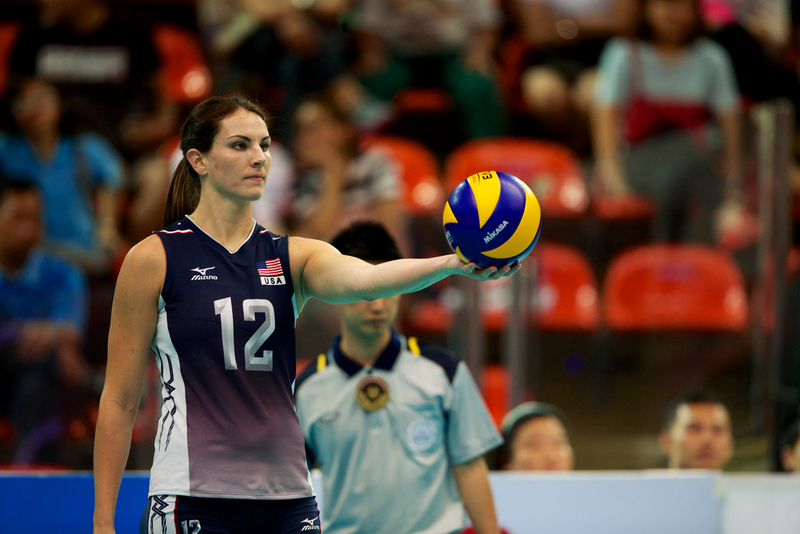 Volleyball workouts are important for success in volleyball. Plyometrics is a type of exercise that's designed specifically to improve fast powerful movements. 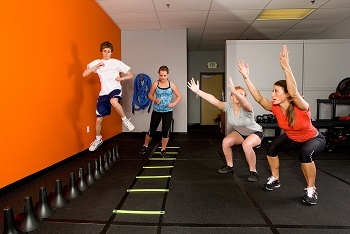 Also referred to as jump training, plyometrics improves the function of the nervous system. When performing plyometric movements, the muscles are loaded and then contracted in rapid sequence. Fast change of direction movements improve the elasticity and innervations of the muscles and surrounding tissues. Plyometric exercises result in volleyball players jumping higher, running faster, and hitting harder. Low impact plyometrics are becoming popular exercises for volleyball players. Performing a low impact plyometric workout at the beginning of volleyball practice will help improve court quickness and explosive power. To make a big impact, volleyball workouts and practices should include at least 10 to 15 minutes of low impact plyometrics. Training using your own bodyweight as resistance is a great way to get in shape for volleyball. The following exercises work your core while also strengthening key muscles. Free weights are great for volleyball workouts. 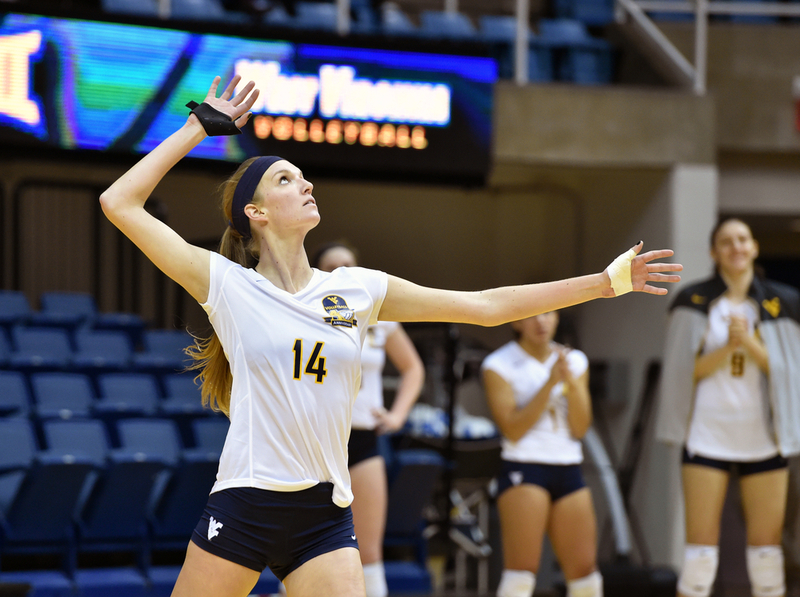 Weight training with machines isn't the optimal way to strength train for volleyball. Take advantage of any chance you get to workout using free weights. Free weights, especially dumbbells, have many advantages over machines. The most important advantage is how the free weights make you work to stabilize the weight. Free weights are considered more "functional" because of how muscles work similar to being used in everyday life. The following are great strength training exercises that involve free weights. It's important to mention that there are different methods of strength training using weights. Generally, the heavier the weight, the more you're training for strength. If you use lighter weight, you'll need more repetitions. This type of training is more for developing muscular endurance. To build strength, you need to focus on heavier weight, with fewer repetitions. For example, let's say you are peforming front squats. If your workout consists of 3 sets of 15 repetitions, this type of training will result in improving muscular endurance and size, rather than increased strength. To increase strength, the rep range should be between 1 and 8. With strength being the goal, it's common for athletes to perform 5 sets of 5 repetitions for major lifts such as front squats, deadlifts, and the bench press. Volleyball is much more anaerobic than aerobic. You have likely had a coach make you run wind sprints at practice. This is a form of anaerobic conditioning. An example of aerobic conditioning would be running 3 miles. Generally, if what you're doing is paced with no rest, it's considered aerobic. The majority of plays in volleyball involve quick explosive movements with some rest in between. Therefore, the best way to train for volleyball is with anaerobic style of training. The following are popular volleyball conditioning methods that involve anaerobic exercise.